It's a last minute decision but we've managed to snare a booking at Koots Salle à Manger. 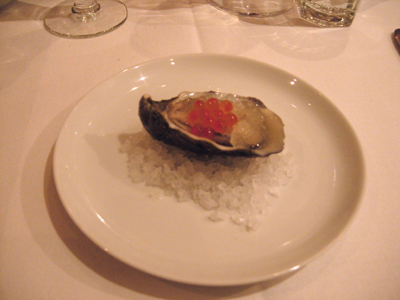 of Oyster with vodka, ginger and lime granita and salmon roe. 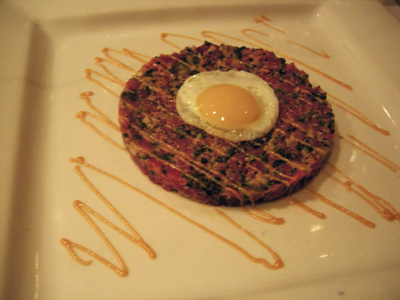 Unlike the previous version Paalo enjoyed here, this one comes with the accompaniments mixed into the beef and is served as a large, flattish disc - for a change it is topped with a barely fried quail egg. It certainly gets those taste buds going. My turn to enjoy this dish. Last time I didn't get to try the pork as it was Ash Wednesday so I didn't know what I was missing out on. This has to be one of the best examples of pork belly I've had in quite a while - the skin almost caramel like while the flesh just fell apart. 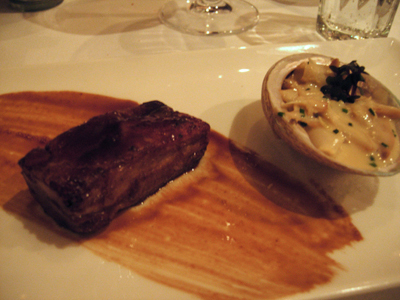 While the abalone are fabulous, the pork is certainly just as good. 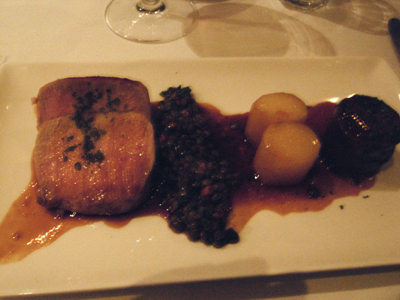 The stuffed pig trotter is presented at the far right of the plate - a compact cylinder, the trotter skin is wrapped around the meat based stuffing. 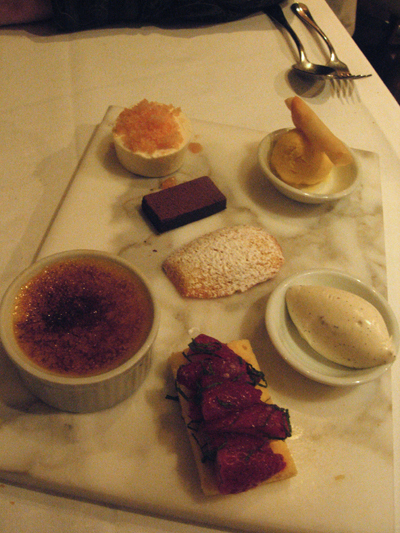 A wonderfully lickable, dense and sticky sauce is drizzled over the components. 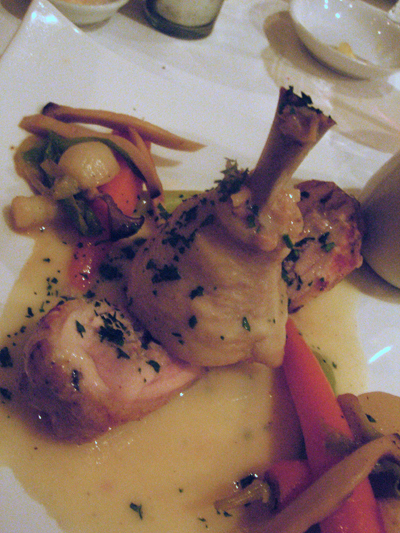 A rather plump leg stands in the center of the plate, underneath are thick slices of a stuffed chicken leg. 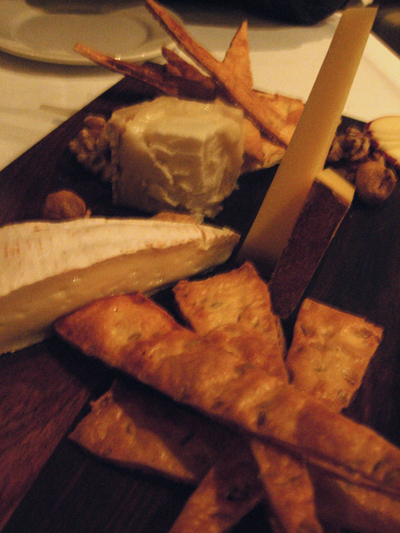 A very honest dish where the quality of ingredients and their natural flavours are allowed to speak for themselves.